At Tabory Law LLC in the Kansas City area, I devote my practice to meeting the legal needs of families and individuals, especially the elderly. My goal is to make a positive impact in the lives of clients. 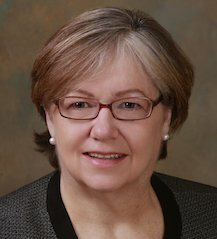 I am Linda Hart Tabory, the firm’s founder and lawyer. After a successful career in public policy and the corporate realm, I decided to start my own practice geared toward helping everyday people. My 30-plus years of legal experience give me a strong background in analyzing complex issues. I apply that experience to guide clients through the legal concerns involved in caring for an elderly loved one and dealing with the legal aftermath of a loss. Legal issues don’t exist in a vacuum. They take shape in the unique context of your family, your financial circumstances, your values – your life. I invest the time to understand your story. Additionally, I take into account the practical realities of your situation – including your financial constraints and family dynamics – to tailor an approach that fits your needs. This strategy results in more tailored, effective solutions. One-on-one attention is important in working with any attorney. This is especially true in areas as personal as estate planning, elder law and probate. As a solo practitioner, I offer the advantage of hands-on guidance each step of the way. I make myself and my staff readily accessible to clients. I have had the privilege to serve multiple generations of clients from the same family who often return to me for guidance on important life transitions. I believe that all clients should be treated like family. For trusted legal guidance on elder law, estate planning, probate and related issues, call me at 913-213-6585 or get in touch online. I offer phone consultations. I am licensed in Kansas and Missouri, and I often work with family members across the country.